Renovate. Build. Design. Project Management. Running projects off-site is both a risky and costly endeavor, even if crews are only left alone for a few days. We cater to those who aren’t naive and know that somewhere between start and finish things will run amuck. 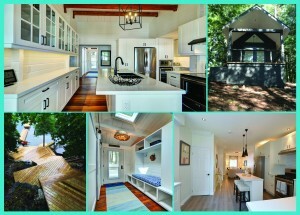 We shoot straight from the hip and use our unique design-driven skill set to achieve pretty and functional spaces in record speed. From ‘I need to know what to do’ through ‘I need a seriously style-savvy project manager who lives and breathes return on investment and can run the show, we’ve got you covered when it comes to boots on the ground in Muskoka. We pride ourselves on being resolution specialists and provide unmatched project management, design, carpentry and sourcing services for trades and product alike; think in budget and on-time as opposed to cost overruns, trade coordination hassles and never-ending delays. Sticking to budgets and knowing where and where not to spend is a rare skill set and we do it like no other. 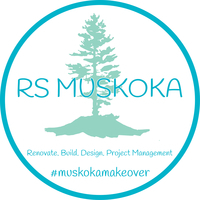 Whether you’re living or working in; investing or selling; have an existing crew or don’t; have already started your project that has gone sideways, or are in the planning stages you won’t be disappointed in having RS Muskoka as partners. We guarantee you will come to love our pro-active communication style that’s heavy on visual overloads and keeps the ball moving forward so that the project is done on time. The busier and farther away you are from your project, the more you’ll come to appreciate our services.